Thieves has Chemical Free Cleaning Products from toothpaste, mouthwash and hand soap to household cleaning products, this gorgeous smelling product line provides safe, natural alternatives for use in the home or office. Recognising the hazard of using dangerous chemical-based products in the home, Young Living created a line of natural household products packed with the power and protection of Thieves. 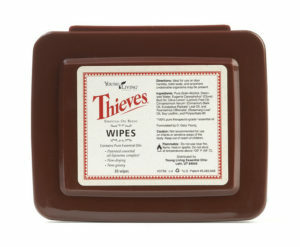 Here are 33 uses for Thieves Products! 1. Rub diluted on the bottoms of feet for extra protection, especially during winter. 2. Put 2-3 drops on a dryer sheet to freshen laundry. 3. Put 1-2 drops on stubborn adhesives, such as glue and chewing gum to remove from surfaces. 4. Drop 4-5 drops on a tissue and attach to an air vent to freshen hotel room. 5. Diffuse for 24-48 hours straight to eliminate household mould. 6. Use as a pre-wash spot remover for tough fabric stains. 7. Use diluted as a pre-soak for dirty sportswear. 8. Add a capful when rewashing a forgotten laundry load to eliminate mildew odours. 9. Use diluted to remove grease, food or pet stains from carpet. 10. Use to remove tough stains on plastic food storage containers. 11. Use undiluted to clean tough areas such as ovens, rusted metal. 12. Spray diluted on plants with mould. 13. Use to clean stubborn “bathtub rings”. 14. Use to remove hard water buildup and soap scum. 15. Use to remove fingerprints from stainless steel, glass mirrors and other surfaces. 16. Spray inside car to freshen the air and surfaces. 17. Spray on filter in vacuum to freshen the air while you clean. 18. Spray on silk and fake plants to clean. 19. Spray in closets to freshen and protect from unwanted microbes. 20. Spray on sheets before making the bed to freshen. 21. Spray on laundry, especially towels while folding. 22. Use to remove permanent marker from surfaces. 23. Use to eliminate anthills and other pests. 24. Use as a bathroom or laundry deodoriser. 25. Bring on vacation to freshen clothes and hotel rooms. 26. Spray in water damaged rooms to eliminate mildew odours. 27. Use to clean tree and plant sap from hands and gardening tools. 28. Wipe counter tops and cutting board to disinfect surface before preparing food. 29. Wipe down handle and child seat on shopping trolleys before use. 30. Wipe down toys and playground equipment. 31. Wipe down doorknobs, handles, phones, keyboards and other surfaces that are handled often, especially after illness. 32. Put inside a small glass spray bottle to use as a breath freshener. 33. Use as a pre-wash treatment by scrubbing stains and spots. • Thieves essential oil blend has been university tested for its effects against unwanted micro-organisms. 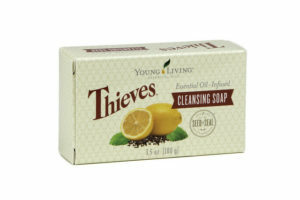 • Thieves Foaming Hand Soap contains aloe and vitamin E, both renowned for their skin nourishing benefits. • Thieves Dentarome Ultra contains calcium carbonate, a natural whitener for teeth. 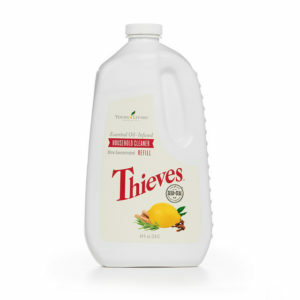 • Thieves Household Cleaner is a concentrate so you can dilute it with water to maximise the amount of cleaner in each bottle. • Diffusing Thieves in classrooms reduced student sickness and absenteeism. 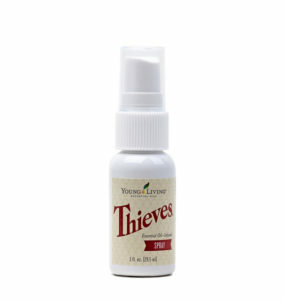 • Applying one drop of Thieves Essential Oil Blend sanitizes your toothbrush. • Putting Thieves Essential Oil Blend directly on the soles of your feet will protect you from colds and flu. 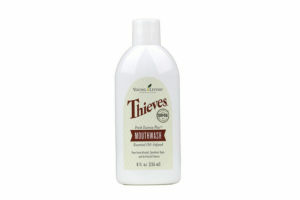 • Thieves Dentarome Toothpaste (Regular and Plus) with baking soda works great as a Grout cleaner. Do your health and well-being a favour, explore the world of Young Living Wellness Products and experience the difference!